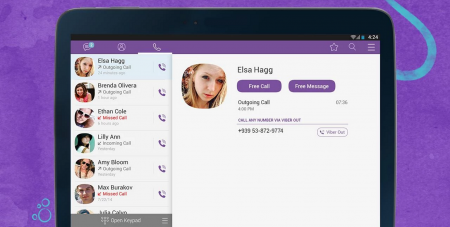 Viber for iPad is one of the most widely used versions of the app. It allows performing free video and audio calls, sending messages and sharing files with your friends and loved ones. Plenty if bright stickers can easily elevate your communication, while the app’s highest level of security is going to protect all your data. If you want to use Viber on iPad, you will need to know all its benefits and possibilities first. The application is widely used because of its main function of making calls with other app’s users for free, regardless the distance and countries you are currently located. The only thing you need to have in order to start communication is a stable Internet connection (either Wi-Fi, 3G or 4G). Both processes of download and installation are absolutely simple: you will need to enter your mobile phone and nickname to create an account in Viber. Now you are ready to begin using the app with a full package of features and options. How to use Viber on your iPad? To begin texting, just click on messages in the bottom left corner and compose. You can either select one of your contacts or choose to type a name or phone number. 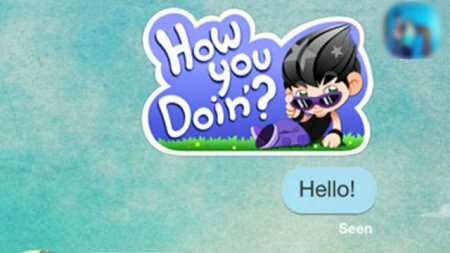 You are free to use hundreds of colorful stickers and smiles to make your conversation more creative. The app offers both free and paid stickers at a reasonable price (around $1.99). If you would like to send a voice message, tap the microphone, hold for a while and start talking. By tapping on the ‘+’ button, you will be able to take a photo or video, send location or a voice message. You don’t have to worry about missing a phone call or text message: push notifications will help you to remind everything needed. To make a phone call, tap the keypad icon on the bottom of the screen of your iPad. All the conversations between program’s users are completely free! If the person you’re looking to call is not using the app, you can try Viber Out function to make calls to non-Viber or landline numbers for low costs. If you still hesitate, whether to use Viber on iPad, try the program for free right now!